Sunday marked the return to the trails of Parque Nacional Desierto de los Leones (The Lions Desert National Park). I went there about 9 months ago trying to find good trails on the mountainsides. Unfortunately I only ran for 35 minutes and spent nearly an hour hiking through knee to waste high grass, shrubs, and plants. I was highly frustrated and for the most part gave up on trying to run up there. Instead of asking around and putting on the hat of adventure, I made up excuses in my head and fully convinced myself to not return. I did my fair share of complaining repeatedly about no marked trails nor published maps. This time I had a new buddy show me a different entrance to the park. We hiked to about 3300 meters of elevation. Lo and behold, I saw a nice double track running trail. We did an out an back of a total of 12km. The time absolutely flew by. My perceived time on the trail was 15-20 minutes when in reality we ran for 1:15. The run absolutely recharged my enjoyment of nature running–and it is only 20 minutes from my home. When I lived in Luxembourg, these trail runs were the norm–little did I know how spoiled I was. Since the two trail runs this weekend, I have not stopped thinking about when I can get back. I feel like a kid who cannot wait to play with his brand new toy or game again. With my new attitude, I decided that I won’t let the lack of maps/trail markings hold me back. I took my GPX files (these are files that show your GPS track on the run) from Sunday and 9 months ago and uploaded them to some websites with open source maps. I was able to match up where I was in relation to other supposed trails in the park. That gave me a better perspective where the good trails were vice the un-runable trails. I printed them out and now am excited to explore the whole park. Every weekend I plan to go back and become a master of the trails up there. 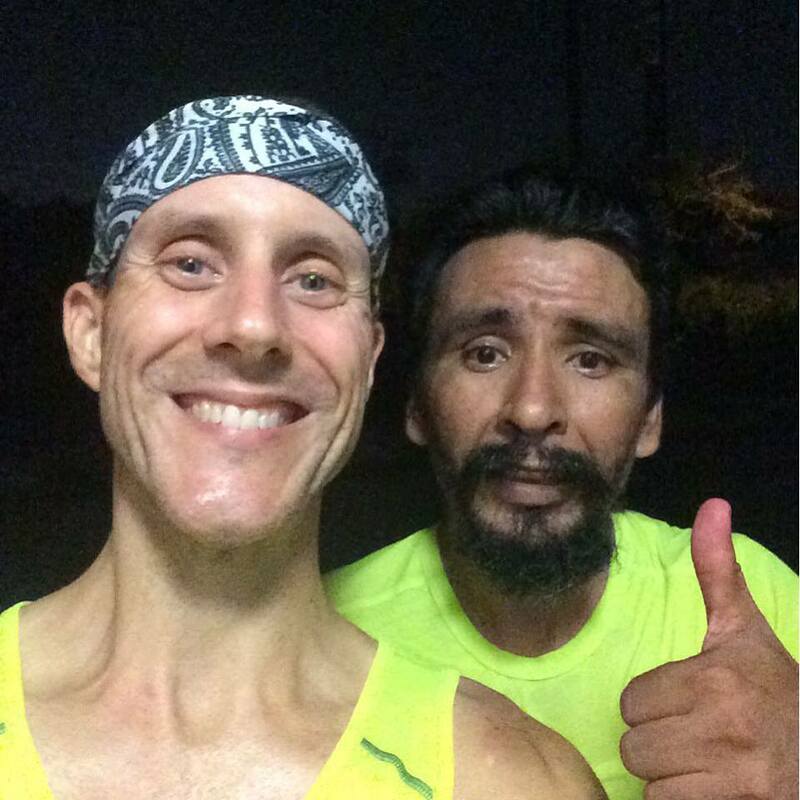 It is amazing how one new friendship, a social running app (Strava), and a positive attitude can change everything. This is one happy guy after finding some fun trails. This was the view I experienced this morning thanks to making a friend through Strava. I have heard over and over that there are many trails in the mountains/high hills outside of Mexico City. Unfortunately, there are no maps to download and none of the trails have signs or markings. Someone needs to show you and/or you need to memorize it all yourself. It’s a shame because there is some spectacular terrain. Today’s run was two semi-different 3.7km loops at 2860m/9300 ft. We did around 14km of running. After running thousands upon thousands of kilometers on concrete and pavement, the trail felt like I was running on cushions–bliss if you ask me. It was definitely good to meet a local runner and start to break out of the same loops I do on a daily basis. My rejuvenated attitude and positivity already seems to be paying off. If I can learn more of these trails at 10000 ft elevation, it will be incredibly helpful come 3 months from now when the 100 miler is upon me. The icing on the cake today was to share the trails with my lovely wife, too. Happy day indeed! It’s remarkable what a random challenge can do for one’s motivation. Earlier this week Cory Reese of the Fast Cory blog and of the fabulous book “Nowhere Near First” issued a challenge to those that friends with him on Facebook to run a “Before Work Marathon”. In his challenge he also declared it a popup contest over a seven day span to win a pair of Altra running shoes. For me, the added bonus of Altra shoes is AWESOME since I pretty much run exclusively in their various models due to their amazing toe box configuration and because I find the zero drop style of the shoe very helpful for the health of my body with miles and miles I log. Cory posted the challenge on March 14th but I really didn’t want to wait around so I quickly started plotting when I could do this. I also figured since I don’t work on Saturday and Sunday I would honor the challenge by only doing an early morning run prior to actual work. This is where it gets interesting: I have a family with three young daughters who all need to get ready in the morning for school. Part of the balancing act my wife and I do is for her to get her gym time and/or running before she goes to work every morning. She usually gets out of the house around 5:30am. This means I needed to get this run done and be back in the house before she would leave. On top of that, I felt like it really didn’t honor the challenge if I just did it the night before. In my mind, I needed to go to sleep, get up, do the marathon, clean up, and go to work. My calculations meant I would get up at midnight and get on the road before 1am. I got on the road at around at 12:38am. What was going through my mind at this point was a) this will be fun, b) I hope I don’t encounter too many drunk people/drivers, and c) how is my body going to react considering I just did a 60km run six days earlier? The excitement of this nutty adventure propelled me quite well for the first 10km. Learning from the end of the 60km run, I planned this route not to end on a long uphill. So I started on a big uphill to begin the run. 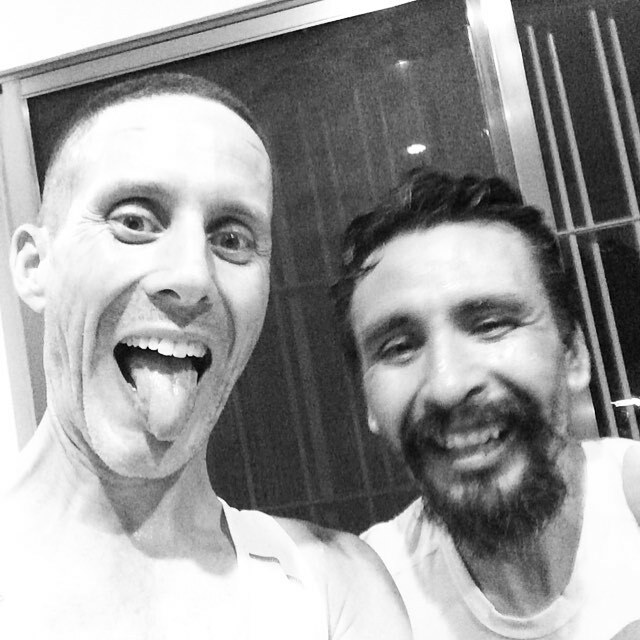 Where I live in Mexico City, you either go up or you go down– there’s no flat running to be had. After about 11km, reality quickly set in that I still had over three hours remaining on this run and it was only coming up on 2am. I got a bit demoralized and definitely started doubting why I did this to myself. It was almost like I fast-forwarded to the later stages of an ultramarathon. I knew the feeling all too well and had experienced it at the 50 mile mark in my first 100 miler and also 4-5 hours into my first trail ultra. I think I remember reading in one of Dean Karnazes’ books that he recommended as preparation for an ultra to wake up in the middle of the night and train just to get you in that state where you aren’t well rested (like in an ultra) and to acclimatize you to running in the wee hours of the night/morning before sunrise. Once I made up another large hill and to a gentle downhill section, my energy picked up again along with my enjoyment. I was relishing the fact that I was knocking out a good long run while most of the city was fast asleep. I also was laughing to myself of how such a random, spontaneous thing could get me out on the streets in the middle of the night. As my wife mentions from time to time, I do like to challenge myself with crazy things. After all the internal dialogue, I reached a point in the run where I needed to reference the map on my phone. 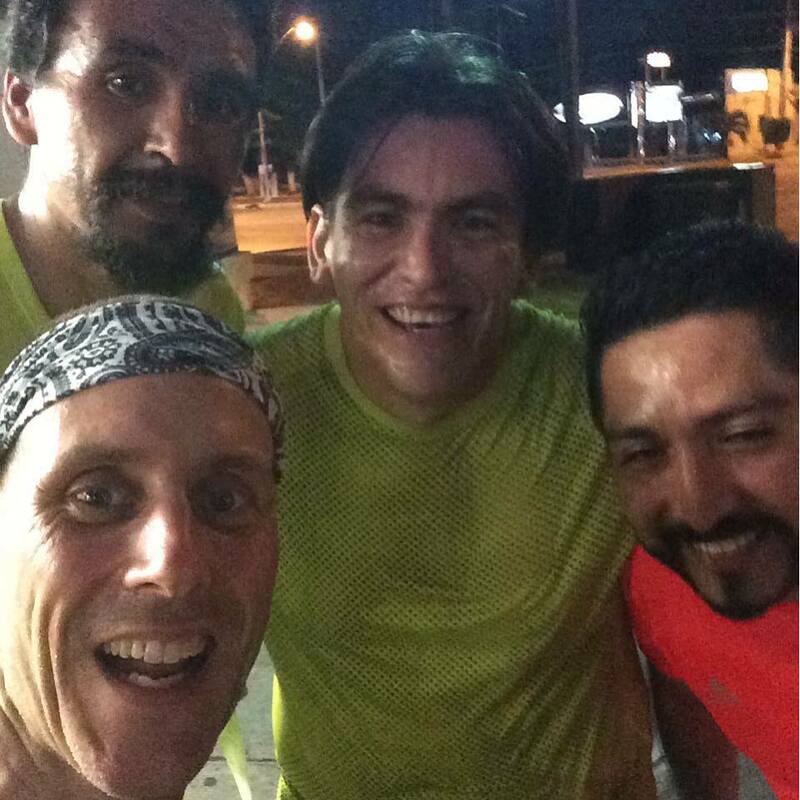 I know the neighborhoods where I run very well in Mexico City but because of the length of the run and the fact that I didn’t want to be on any major roads, I needed to do some zigzagging. A pit stop was just what the doctor ordered and I used it to also eat a little bit more, top up the water, and focus on what remained. Visualizing the rest of the run showed me there would be three more major climbs to accomplish. I was about to begin the first one. Onward I pushed. 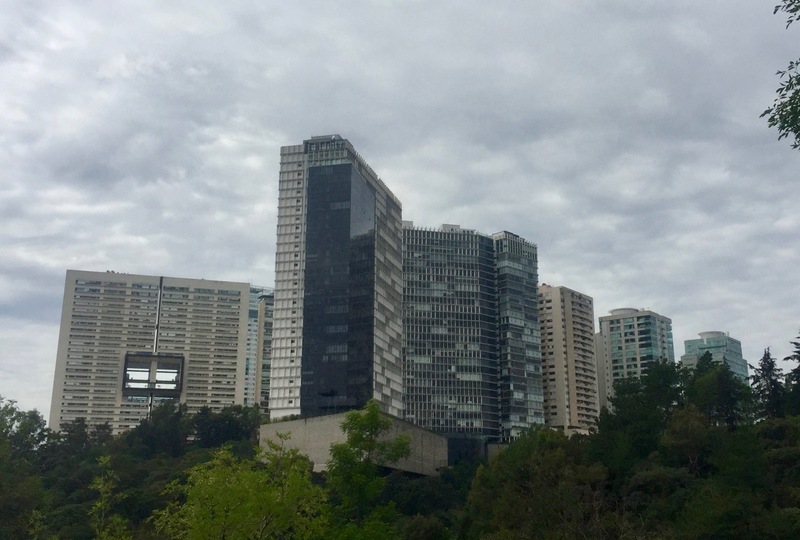 It took a good 5-6 months for me to be able to “run” the hills in Mexico City. Since I had been living in the completely flat city of Merida for the past two years, I had to walk almost all the major hills when I arrived last summer. Around January or February, I finally had built the strength to run the major uphills. After knocking out one of the remaining three major climbs, I dropped down into a valley that would begin my homestretch also known as the last 12km of the adventure. This section was the worst of the remaining climbs including 267m of elevation gain over 8km including 179m in just 3km. I was dreading it as it drew near but then something else popped into my head, I had never run this stretch with no walking/hiking breaks. This would be my first attempt to run it straight. I put my head down and envisioned my inner diesel engine. It was rough but I did it. When I got to the top of the tough 3km section, I felt a weird sort of excitement knowing that I finally did something I couldn’t do before. It’s those little things that make me happy and keep me going. After all that climbing was done, I got to enjoy about 3km of downhill and it felt great. I did one more quick climb knowing I had it literally all downhill from there. The joy of finishing this spontaneous challenge helped me push hard down the hill to the end of the run. When I checked the numbers, I actually ran this section faster than I did at the beginning of the run. Go figure that after 40km I could muster the energy to run faster than the beginning. There it is…I am now part of the group that accepted and accomplished Cory’s challenge. I’m quite happy that this random event popped up because it helped shake things up for me. Some of the traps of constant training are routine and boredom. I am always looking for ways to infuse more fun into my runs and this did it. As a parting note and for those of you unfamiliar with Cory Reese, I highly recommend you read about him. I do not know him personally (only through his blog, book, and Facebook) but he seems like a remarkable person. From everything I’ve gathered, he is great father and husband, a genuine friend to everyone, a gifted photographer, and all around cool guy. His positive, humorous outlook on life and how to make the best of it are things in which we all can use. My stamina has reached the point where I can run at least 50 km without really feeling any substantial fatigue. This is a huge increase considering only three months ago I felt fatigue after 20 km. I was able to run headphone free and didn’t suffer from boredom or go crazy from too many things going through my mind. I spent much of the time thinking of what good food I’ll eat when I get home, how grateful I am for the family I have, how lucky I felt to be able to do what I was doing, and other random observations of the environment around me. There was plenty of time where I just blanked out and just went along for the ride–a sort of active meditation. After the run, I wasn’t really sore. The next day I was able to get out and do an easy run and two days later I still hadn’t experience DOMS (delayed onset muscle syndrome). It seems to me, that my body is in the best condition it has ever been in my adult life. In the past after marathon distances or further I would definitely feel some pain. Considering this 60 km run had nearly 1100 meters in elevation gain, I was quite surprised but also happy. My nutrition methods worked fairly well. I used Tailwind in the water in my hydration pack, brought several Huma chia gels, and one Larabar. I think I consumed around 1100 calories throughout the nearly 6 hours. Maybe some of my fatigue around the 5:20 mark was due to the fact I needed a little bit more. I weighed myself before and after the run and I was down about 2 kg afterwards which means I needed to drink a bit more water. Prior to the run, I memorized the entire path I planed and I broke it into three distinct parts. That way I wasn’t messing around with my phone to look at a map or looking at my GPS watch to see how much further I needed to go. Instead I just looked for landmarks to help judge where I was on my course. My main focus was to complete each third of the course and once a third was complete, I would reset my focus to start the next third. My ego got going a little bit during my run when I entered a major park. Since it was early Saturday morning, it seemed like the whole city was at the park running. The reason I mentioned my ego is because in my mind I started contemplating ways other people could know how far I had run so far that day. Some people I was running near would huff and puff trying to pass me and I just wanted to say “Yes, that’s nice, I’ve run over 50km today…and you?” The thought process was completely silly and I know that no one could care less but I guess I was just proud of how hard I had worked that morning before the rest of the city had even started their days. Going forward I think I’m going to try to do one of these longer efforts at least once per month. I also believe that I need to find an ultramarathon or two to enter this year. It’s been 14 months since my last one. I also need to complete a qualifier for Western States so I can keep my consecutive entries going. My parting thought today is I am not sure what to do about my current run streak. I have run 71 straight days which is the longest streak of my life. Most coaches do not recommend streaks to maximize performance but I have found that the daily focus has benefited me tremendously. What I have made sure to do is rarely push myself too hard. Every now and then I’ll feel extra energy and have some pep in my step but for the most part, I just run nice and easy. After 2-3 months using this method, I’m running faster with a lower heart rate. For the time being, I’m going to keep the streak going unless some sort of injury pops up. I feel good and am happy with the results so let’s see what a longer streak will bring. 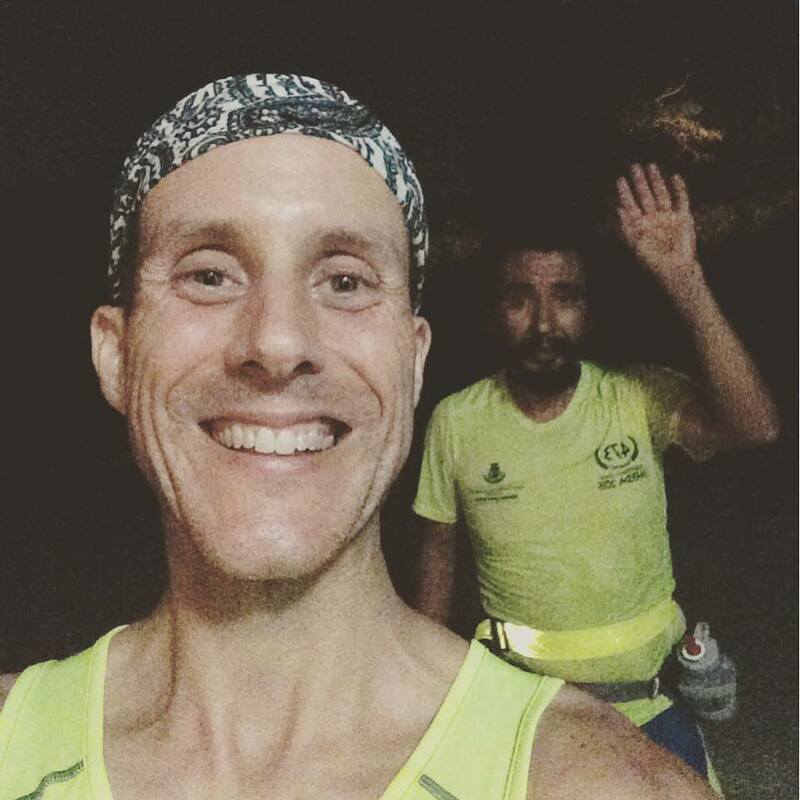 This past weekend I had the honor of running with a good friend of mine when he attempted his first ultra-distance — a 60km run (36 miles). My buddy had run several marathons in the past but since we met around a year ago, I’ve been planting the seed for ultramarathons with him. A little less than two months ago, after he finished a marathon, I challenged him to do this run with me. I encouraged him and said that he would definitely succeed and would enjoy the experience. He said let’s do it! Fast forward to last Friday. After work, I prepared my house as our aid station to pass by every 20km. I had plenty of Hüma Chia Gels, Hammer Gels, Justin’s Nut Butters, Tailwind, Succeed Amino, Succeed S! Caps, hummus, and other snacks as well as a ton of water. I had a blister kit, Trail Toes cream, and other aid station staples. I mapped out three 20km loops around the city of Merida, Mexico. I told him to bring extra shoes, socks, shirts, and anything else he might want to change during the run. Around 6pm he showed up and by 6:30pm we were off and running. My goal for the first 20km was to slow him down and keep us at a reasonable pace. I use a heart rate monitor so I used that to judge our effort. Luckily for us the weather cooled a bit–but don’t misunderstand me–it was still around 86-88°F/30-31°C with substantial humidity. It was just cooler for us because of how hot Merida normally is. Things were pretty easy going and as we passed by a little village, we actually found a dog that had run with us for around 5-6km a week earlier. The dog recognized us and even paused to consider running again but thought better of it. I think we wore him out the last time. At around the 40 minute mark, I got my friend started on his eating regiment. It was one of my goals to show him how important calorie intake will be during this adventure. 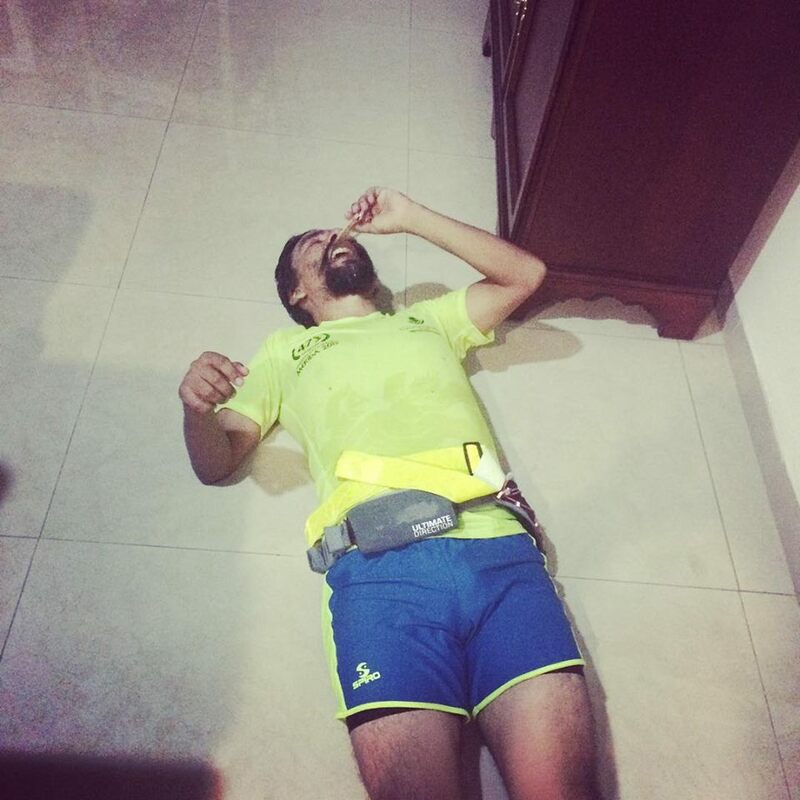 He had experienced problems around the 35-38km mark in past runs where he completely ran out of energy. We made it back to the house a little over 2 hours later and started our refueling. 20km in the books, 40km to go. When we set out for lap 2, it was dark. I knew this is where things will start to get a little rougher. We plowed through the first 10km without problems but I noticed that oddly enough the temperature in the city was rising and the air was getting more stagnant. This added to the challenge. I was trying to keep tabs on my friend’s rhythm, pace, and breathing to notice any changes or struggling. Right around the time we passed the halfway mark, I could tell things were getting tougher for the both of us. At 35km, I had gone through my water bottle and my other bottle that had tailwind mixed with water. I was sweating profusely and my legs had definitely lost their spring. When I had to jump up and down on curbs and sidewalks, it was definitely more of a challenge. Shortly thereafter, my friend let me know his knees were starting to really bother him so I suggested us do some intervals of 5 minutes running and 1 minute walking. We used this change of pace to stop by a store and get some more water. Funny enough, when we walked out of the store, we encountered another runner I had met a few weeks earlier who was also out for a long run that night. It is a very cool bond runners have. After chatting with the runners for a couple minutes, we headed off for our remaining 5km to the house. This was definitely the challenging moment of the night for my buddy. He was experiencing that low feeling that one encounters multiple times during an ultra. I decided my goal was to try to motivate him, cheer him up, and see him through the woods so to speak. 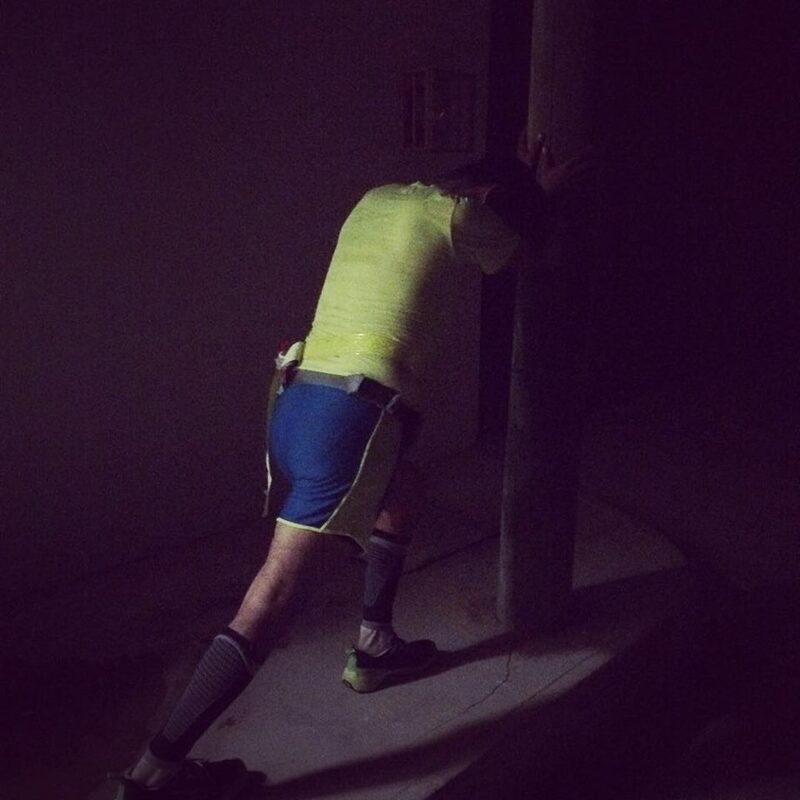 I assumed the role of the pacer to the racer in an ultramarathon. We continued our 5/1 intervals and about 1.5km from the house we gutted it out to finish loop 2. 40km done but we still have 20km to go. Upon reaching our aid station aka my house, my buddy dropped to the floor. He was definitely suffering but was also trying to recuperate. I found a Hüma Chia gel with double caffeine to boost him out of his hole. I made him drink more water and take an S!Cap to help with electrolyte loss. While he was laying on the ground, he asked if we could alter our final 20km and do two 10km loops. Great idea, I thought. This way it was mentally more paletable and he could pass by our aid station once more. I could definitely see where going out for a 10km run is a lot easier to think about than going out for a 20km. He eats 10km for breakfast. After 40km and nearly 5 hours on his feet, another 10km shouldn’t be too bad. After about 15 minutes or so, we headed out for our next loop. Sometimes you just need to lie down. Something amazing happened during our run between the 40-50km mark, my friend started to rebound. He no longer needed intervals and was running with a rejuvenated spirit. It was exactly what I was hoping would happen. This is quite customary during ultra distances. If you can just get past the dark moments, you will experience comebacks that you thought were impossible. We ended up running about 8km and then walked for about a half of a km and then ran the remainder. That loop was much easier than the last one. We refueled, stretched a bit, and headed out for the last loop. Limbering up for the final part of the run. The last loop is where I started to feel some of the fatigue setting in but I wanted to stay strong for my friend. As we wound our way though a nearby neighborhood our conversation picked up quite a bit more and I shared some of my experiences of similar runs. We did one more walk break of about 5 minutes at the 55km mark and then pushed the effort to get home. I started experiencing some gastrointestinal issues, I guess because of some of the experimenting with different food combinations. Like the experts say, training runs are the time to experiment and not the race. It was nip and tuck to see if I could make it home with out having to find an “emergency” bathroom but around 7 hours after setting out on our adventure, we made it! We did it! 60km in the books. The aftermath of the run was a moment of joy I had not experienced before and the reason I’m writing this post. To hear the sense of accomplishment in my friend’s voice brought a huge smile to my face. He kept repeating over and over, “60 kilometers, 60 kilometers”. My best guess is that he was happy, amazed, proud, and exhausted all at the same time. This moment was the reason why I challenged him to this run–I knew he would love it and knew he could do it. 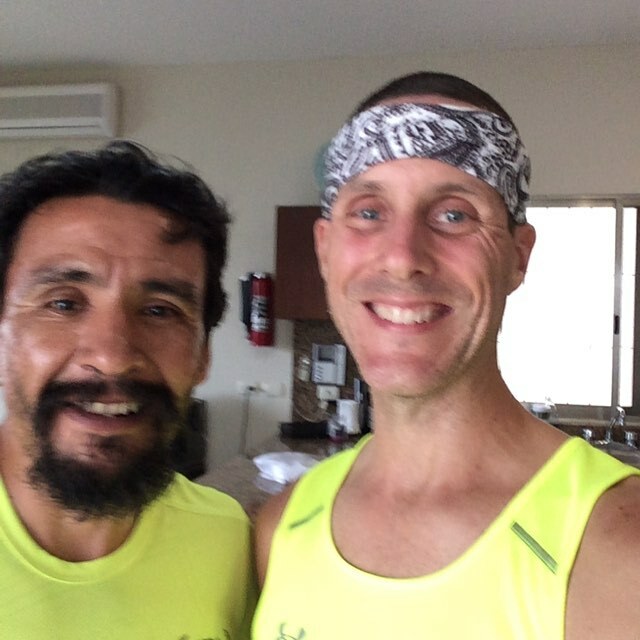 I wanted to provide for him what I didn’t have when I first got into ultrarunning: a person to share it with and a person to learn from. Don’t get me wrong, I love the path I have followed to arrive to this point but it would have been a lot easier to do some of my first ultra-distance runs with an experienced person to help push me through. That night adds to the many reasons why I love to run. This is where we ran.